I do not assign scores or anything, simply highlight some things and potentially recommend it. Below I list quickly in bullet points some basics of the game that will help to know about when reading my thoughts on it afterward. Skip to “Thoughts” below if you already know all the basic info! 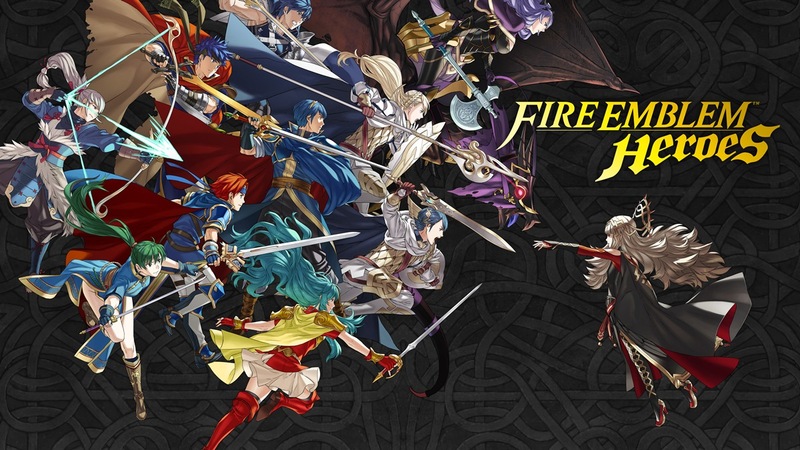 A free to play mobile game based on the Fire Emblem franchise, made by IntelligentSystems. It’s a Gacha style game. For information as to what that is, please click this informative link. Yes! Language can be changed. However, it needs to download a language pack each time you change, even if you were in that language before. This means the language data overwrites itself rather than storing itself separately. It can be a bit inconvenient, but is great for comparing two languages (such as Japanese and English). Your save data remains unharmed through the process. Sprite-based overworld icons and combat animations. Full artworks of each character in at least three different poses (default, combat, wounded). Guest artists drew artwork for each character, enabling a variety of artworks. Each character features voiced lines (with language localized voices too). Features throwback music relevant to the game/characters the map is about. Nice sample from each game. Features a prologue and nine chapters, the nine chapters having five maps each (for a total of about 45-50 maps). Maps are on a simple grid, can never scroll maps. Meaning all maps are the same dimensions. Unit movement is reduced to compensate, average units move two spaces, armored one, cavalry three, etc. Features “Orbs” which are vital for summoning new characters in the gacha system, and have a few other uses too. Microtransactions rely on people buying these orbs as the orbs can do a lot. Features a friend list, though little use for it at the moment. Features an arena to face other player’s teams online (not in real time). Features a “training tower” where you can grind maps for EXP. Note that changing language will require a 100+MB download each time. So with the above information in mind, my thoughts on the matter as a long-time fan are fairly positive. But I do have some concerns too, of course. I only put this brief section in here because I often proclaim that I play Fire Emblem games for their story above all else. It may be in the minority for people who play these games, but it is an important part to me. However, I took the precaution of not expecting much of the story in this game, considering all the different characters from different “worlds” that will be meeting in one place, well it is definitely not going to be anything beyond bare boned excuses. Nor should it have to be, it is a mobile game, so I went in expecting very little. And it paid off! So please do not expect much in this department if you are like me. I avoided news on the game itself up to its release to go in without any prior expectations. As a result, I have a fairly positive impression, and the game is indeed better than I expected. It is quite fun for a fast experience featuring some fun characters throughout the series’ history. The stamina system allows you to play at lengthy amount of times considering it has a cap of 50. However, as you get to higher difficulties, more stamina is required per play. 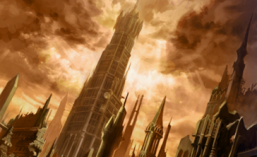 This and the fact the game notes that after the release period (up to February 19th), stamina requirements for the tower will go up, as well as added on simple things like equipping skills. As of this writing, one of the key features of the game is that the stamina can last a fair amount of time as you play, but it seems it will exhaust much faster after that date. There are items to replenish the stamina, some given as daily login bonuses. MyNintendo offers some of these items for purchase with your platinum coins, which is a nice way for the fans who have plenty expiring this month to spend them. Another issue, and indeed what the game’s main source of income will be, is the “orbs.” True to a gacha game, these orbs are what are needed to expand your game. Be it improving your home castle, redeeming exhausted items, and, most importantly, summoning new characters. During the release window, the game is generous in handing out orbs. From login bonuses to special maps, orbs are available. Each story map also offers an orb upon completion. But this will likely dry up soon, again, as the window starts to close. Buying a pack is rather pricey, considering to get great hero yields you need at least 20 orbs (as a group of 5 orbs is presented at a time, and chaining orbs gets you higher chances of better heroes and costs less, with a rule of 5 > 4 > 4 > 4 > 3). For those who were unfortunate and did not roll their favorite characters with the orbs they were given, they will have a hard time trying to get more to find the characters they like. As it relies quite heavily on chance, this will keep the player playing, which is indeed the point. Regardless, that will certainly put pressure on those who intend to play this game totally free (such as myself), and become something you do for a few minutes rather than any continuous gameplay –but many expected this. It is a free to play mobile game, after all. At the very least, it will serve as a nice “gateway” and demo to the Fire Emblem series and hopefully build interest to boost sales (such as what Pokemon Go did for the Pokemon franchise). Graphics I often don’t care about –but it was refreshing to see sprites (some rather adorable) ones used again for battles. They are rather smooth, and the simple overhead character artwork makes for a nice experience. On a side note, they sprites sort of remind me of the Theatrhythm series of games. On my wish list of crossovers, Theatrhythm and Fire Emblem was one of my preferred ones. So found these particular sprites funny for that reason. So what does this game offer series fans? Well there are many characters from across the franchise featured with all-new artwork and voices. It’s a nice throwback touch when combined with the fact the maps and music are reminiscent of ones the characters are known for (throughout their respective stories). You can have fun with your favorite units. However, as of this writing, there is a distinct lack of the Jugdral, Tellius, and Magvell representation. 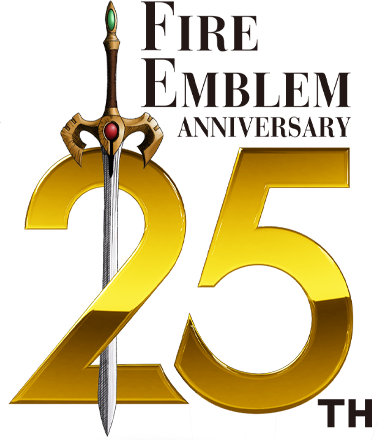 Ike (as well as Eirika) are shown on the image at the top of this page, so will likely come at a later date, but it is odd (considering Ike’s general popularity) that he was not included in the initial release. The lack of these games in the main story too is rather odd. Is it a sales issue? Issue with Shouzou Kaga FE games versus newer ones? (For Jugdral). It certainly isn’t a popularity issue, as pointed out with Ike above. Those who played through the story will know that it leaves room for more maps to be added later on as part of the game’s story. There are always special maps as well, so perhaps it is to boost the game’s longevity. It remains to be seen! The same goes for character voices. In my own opinion, some of the voices do not really feel right for some characters, where as they work perfectly for others. These are all purely value judgements though and will come down to player preference. Signature weapons, skills, and other items reappear throughout, too. From the Falchion (which retains its dragon-slaying capability) to Aether, it is a nice implementation to the mobile platform. Sometimes context in knowing the items from the series itself can help too, such as in cases of this translation mishap that caused a great deal of confusion for those who sought a Physic staff that was described more like Fortify. Fans were more skeptical than non-fans when it came to the above! But even non fans saw something was wrong when it didn’t work as expected. Maps and music will be familiar to players who played the featured games. It was a nice touch that was in there purely for the fans and will likely go unnoticed by those new to the games –however, in a reverse effect, may give a new fan trying the older games a “Ohhh that’s what that map was based on!” moment, which in itself would be a fun experience. The simplified gameplay will seem quite easy, as there are many things you no longer have to worry about (rescue, shove, pair up, etc). However, the simplicity also causes complications. “What? You can’t do that?” moments when it comes to unit capabilities, which can actually cause more issues for those assuming it will be like a main series game than not. Being on iOS and Android, this game is widely available to people who don’t often play games, much less a (still relatively) obscure series such as this. It has generated buzz as another one of Nintendo’s ventures into mobile gaming however, which has piqued interest of fans who may be familiar with the series but have yet to play it. Looking around, it seems that many fans and non-fans (I use this term for simplicity, do not read too deeply into it) both enjoy the game to some degree, as well as share concerns as to what will happen when the release window runs out, as I had worried about above. As of this writing, I have finished the story in two modes (Normal/Hard), gotten quite a few characters, and tried out the different modes available. Overall, the game was better than I expected (or feared). I knew little about it beyond the initial release info/trailer, so I got to experience everything new. 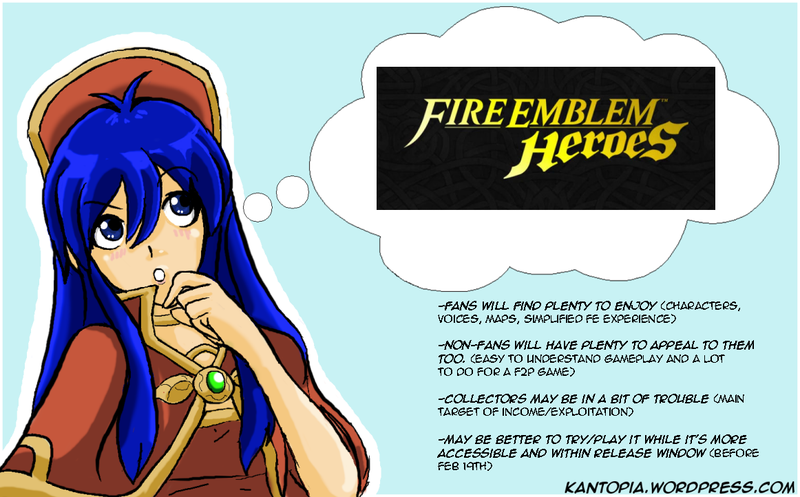 Keep in mind this was tweeted to followers, of which many are already FE fans, and it is a really small sample size. But it seems the highest votes were for “better than expected,” with another significant chunk meeting expectations. A larger portion did not play it or held a different opinion than those who said it was worse than they expected. 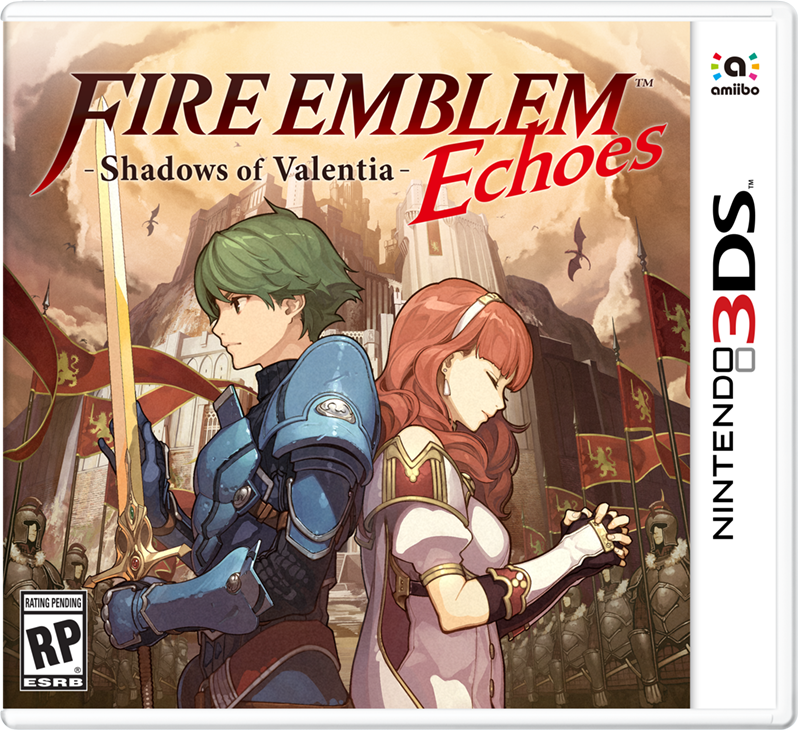 Many assume one objective behind the game is to generate interest in the series, considering how it will be getting a new 3DS game relatively soon, as well as a Switch title sometime in the future. I mentioned earlier that it is essentially a “gateway” game with this line of reasoning. I have read comments around the internet that mention people who have been more motivated to go back and play/complete older games they left behind, or others who want to play games they have not experienced based on this. I have not seen much the other way, but again, anecdotal is not the best way to gauge actual interest. It does give a nice place to start, though. A main concern I listed is how the game will become a lot more “difficult” to play (for free, anyway) after this initial grace period (until Feb. 19th) runs out. I feel the best time to try it out would be during this initial release period, which will determine if you still play it after that date, move on to a main series’ game, or perhaps give the franchise a pass entirely. Fans will find plenty to enjoy, from throwback characters, voices, maps, and music, as well as a mobile-friendly version of the gameplay they enjoy. Non-fans will have plenty to appeal to them too. Easy to understand gameplay and a lot to do. I highly recommend checking SourceGaming’s review, as they presented it from the views of one fan and one non-fan, which gives great perspective! It’s a nice approach to reviews in general, I’d say. To give people (and potential importers) a better idea what exactly is in the 351 page Making of Fire Emblem: 25 Years of Development Secrets book, I decided the easiest way to cover that would be to simply translate the Table of Contents and write a personal commentary on it too. See the contents first, and my brief review after that. You can also scroll down to the bottom for a summary. All the information I have translated thus far can be seen on my compilation post. I translated the entire Famitsu review for Fire Emblem Fates (if in Japan). It received an overall 36/40 rating from four reviewers. The break down was 9/9/9/9. I post the transcript, original Japanese text, and finally an image I made based on the scan. It is from the 6/18/15 issue of Famitsu.